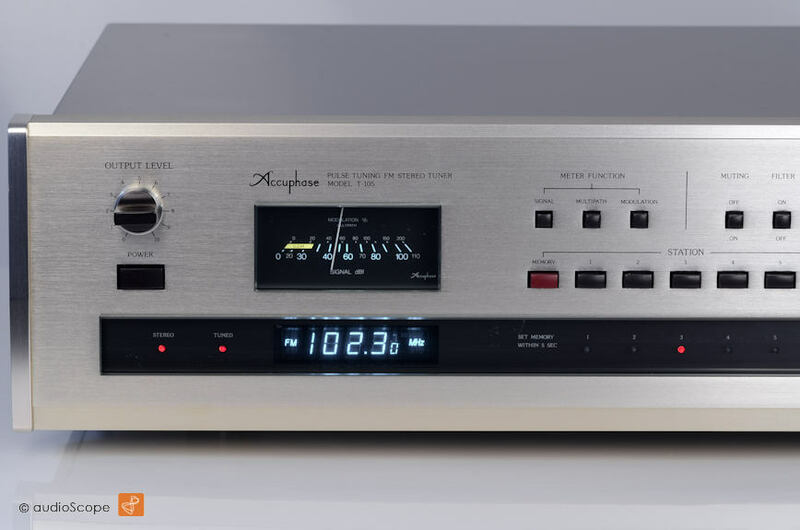 Accuphase T 105 Tuner for sale. 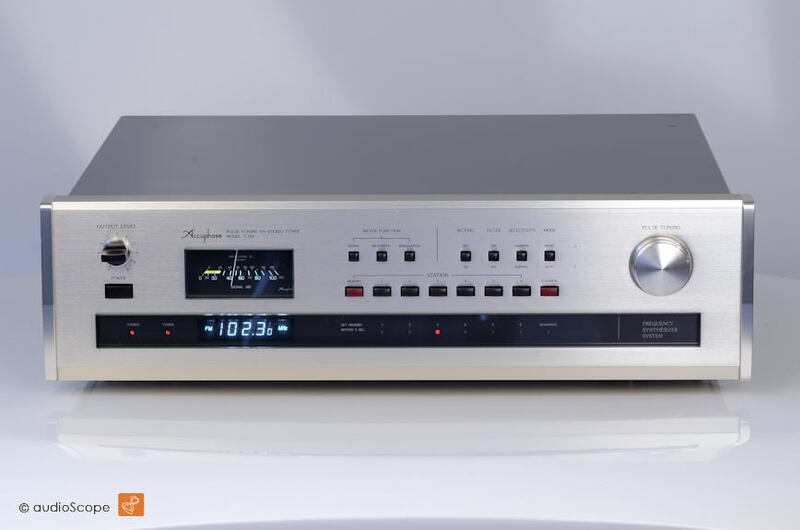 Here comes probably the first synthesizer tuner produced by Accuphase. 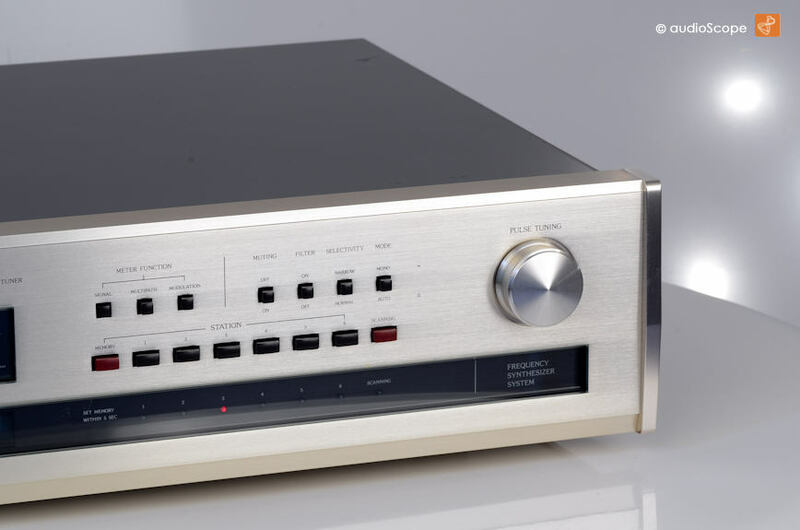 A really nice and excellent sounding tuner for the money. 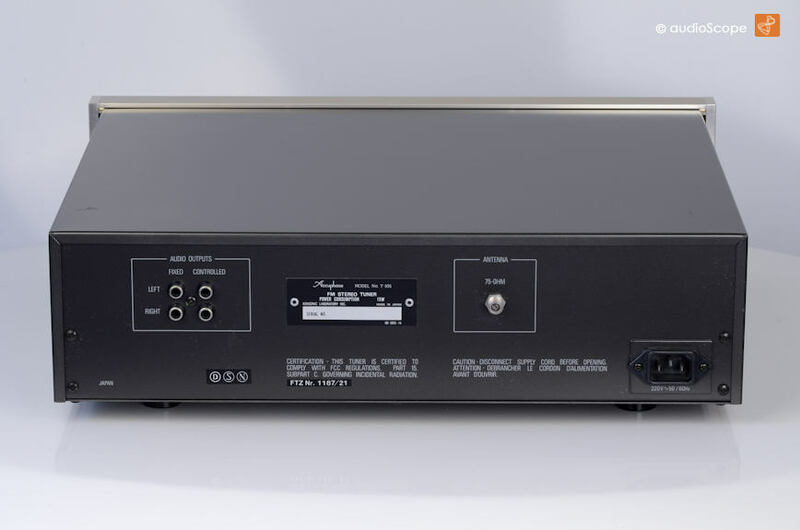 This tuner features automatic frequency scan. Today it seems nothing special, but at that period, it definetly was. Your 6 favored stations can be memorized and to recall the station, you just have to push the right button.. The optical condition of this Classic is very good. You will find 3 scratches on the top cover. 2 of them are so thin, that you will forget about them. Only the 3rd one is visible. It is located at the right rear corner, about 2 cm long. If you take a close look to the front plate, you will find nothing...it is mint. Technically, this unit has been cleaned inside, outside and we aligned the FM-Frontend and the demodulator. 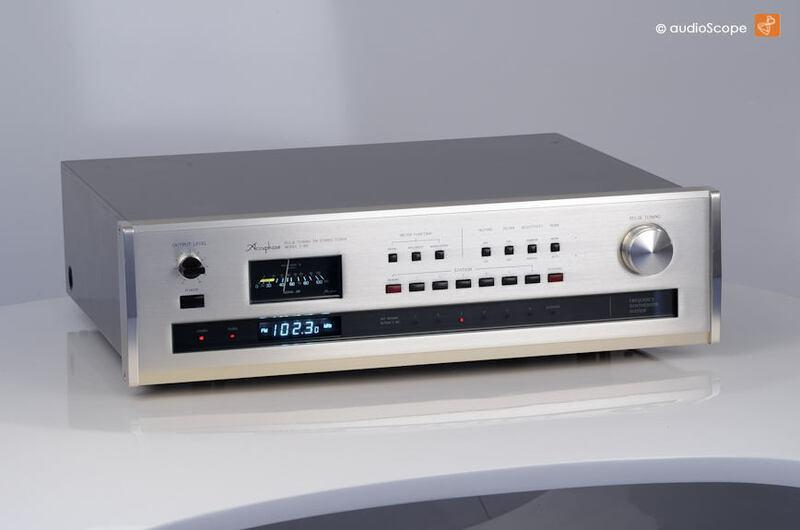 It plays like an Accuphase should. Perfectly clear.